We aim to attract, develop and maintain the very best graduates who have excellent communication and analytical skills, excel in a team environment and have a relevant degree in Geotechnical, Environmental or Civil Engineering. We offer opportunities to work in any of our offices throughout Australia. As a graduate, you will gain exposure to our organisational culture, people and day-to-day operations. You will receive an education that stretches beyond the classroom. You are able to work with people at the top of their field, form bonds with participants and have the satisfaction of participating in projects. You will assist more experienced professional staff undertake site investigations, analysis of a range of geotechnical and environmental problems and technical reporting. 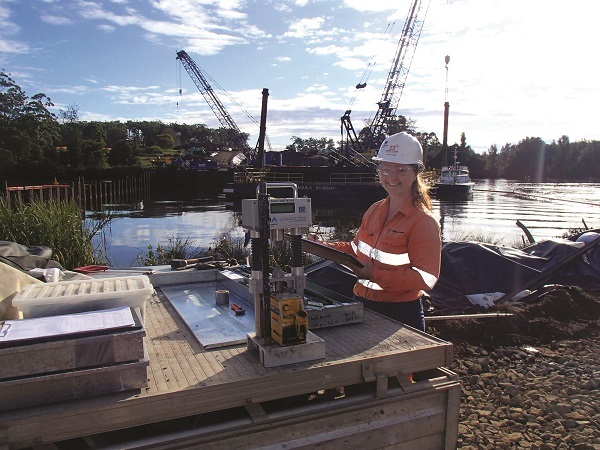 You will spend time in the field observing and undertaking geotechnical and environmental activities. This is viewed as a dynamic way to learn as it encompasses real work experiences. All employees and applicants are entitled to fair practises in the workplace, recognition and respect for social and cultural backgrounds and opportunities to reach their potential. We seek to provide a safe, productive and congenial working environment and do not tolerate any form of discrimination. Applications must be submitted via the application form below. Your application must include a resume and any work experience references. Please ensure to attach a copy of your most recent university transcript as incomplete applications will not be considered. Our annual graduate recruitment drive commences 1st July. All applications must be received by 15 August. Due to the volume of applications, unsuccessful candidates will not be notified. Short-listed applicants will be called for an interview. During your interview we discuss your academic achievements, future goals and work experience.